Winchester Interconnect, a portfolio company of Snow Phipps Group, has acquired W-Technology from Hamilton Robinson Capital Partners. Snow Phipps acquired Winchester in July 2016 from Audax Private Equity. 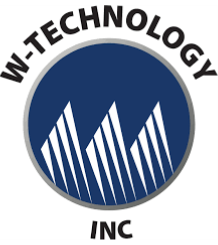 W-Technology is a designer and developer of rotatable and molded connectors, precision-machined components, and specialized cable assemblies. The company was founded in 1992 and is headquartered in Houston (www.wtechnologyinc.com). Winchester is a designer and manufacturer of connectors and cable assemblies used in military; aerospace; medical; semiconductor; data infrastructure; test & measurement; and oil & gas applications. Company brand names include Bomar, Cadillac, Clements National, Continental, Kings, Source Technology, SRC Haverhill, SRI Hermetics, Tru and Winchester. The company, led by CEO Kevin Perhamus, has annual revenues of approximately $250 million and has operations in the US, China, Mexico, and Malaysia and is headquartered near Stamford in South Norwalk, CT (www.winconn.com). In July 2018, publicly-traded Aptiv (NYSE: APTV) agreed to acquire Winchester from Snow Phipps for $650 million. Upon completion of the transaction – expected to close by the end of 2018 – Winchester will operate as an independent business unit within Aptiv’s Signal & Power Solutions segment. Snow Phipps makes control investments in companies primarily located in North America with enterprise values ranging from $100 million to $500 million that require equity investments ranging from $50 million to $150 million. Sectors of interest include industrials, services, and consumer. The firm was co-founded by Ian Snow and Ogden Phipps in April 2005. Snow Phipps is headquartered in New York (www.snowphipps.com).